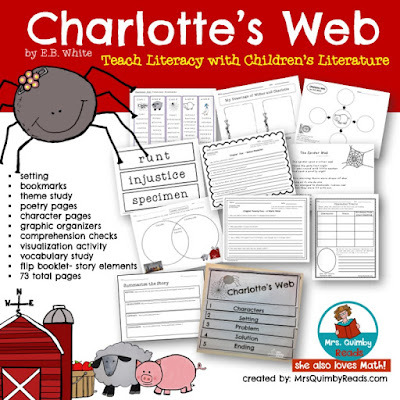 The Best of Teacher Entrepreneurs III: Language Arts Lessons - "Teaching Literacy Skills with Charlotte's Web"
Language Arts Lessons - "Teaching Literacy Skills with Charlotte's Web"
Charlotte's Web, by E.B. White, is a universal story. It has entertained hundreds of readers and children for decades. The book teaches kindness and love. As every writer knows, research, research and more research is very important... you must get the right moon in the night sky. For Charlotte's Web, White's research was close to home as in lived on a farm in Maine. His experience and farm color shows on every page. The habits of the animals are characteristic and believable. The reader gets to drop in flawlessly. Charlotte, the heroic spider girl, is quite sophisticated. This is a great opportunity for White to teach new words to children. Gaining an extensive vocabulary benefits the child learning to read. 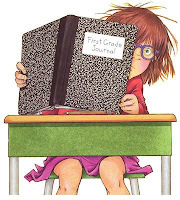 As you read aloud, Charlotte's Web, listening children understand story elements and grow their vocabulary. Wilbur is our friend throughout the story. He expresses deep emotions, but he is still a pig and he likes to lie around in manure. And his immediate and very dangerous plight is ...pigs go to slaughter. And thus, Charlotte and Wilbur become friends. White tried in real life to save a pig, but he failed. This experience gives power to his writing as he shows so much compassion for Wilbur. White tells his mixed feelings about pigs destined for the butcher in his story. The children can feel the sadness and quickly become involved in this story of friendship and love. And Charlotte, the heroine of this book, was also born in White's barn. His many observations of spiders in the barn impressed him. He found them weaving. He found them clever.... and even clever enough to weave words! and a writer for children would absolutely know this would grab their attention. And he was right, because it certainly does. This is a favorite part every time I read this book aloud. Thank You, E.B. White, for your wonderful books. You wrote a masterpiece! E.B. White wrote his novels on an old typewriter in his boathouse. When he was not writing or doing chores on his farm; he liked to ride his bike long distances, even in bad weather. 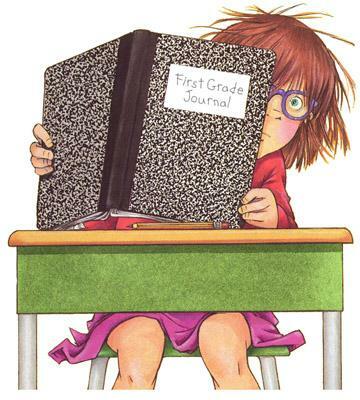 When reading aloud to your class, tell them all you know about the author. This makes the right connection between readers and writers. the author writes masterpieces, every time! Many times readers choose the next book to read by the same author as they find they know something about the author which makes the reading familiar. E.B. 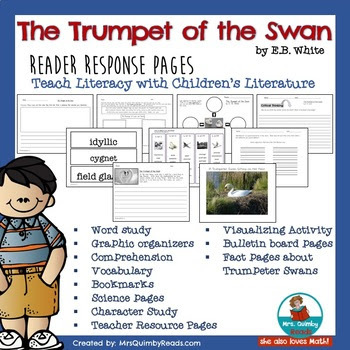 White's The Trumpet of the Swan is another unforgettable book experience. You can find Reader Response Pages HERE for this fantastic book!